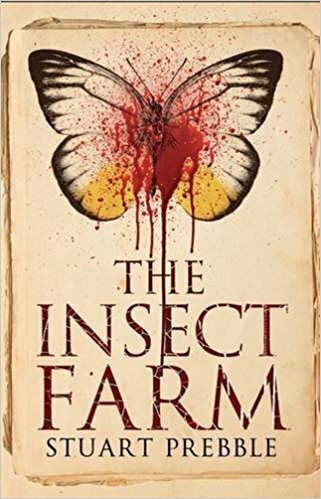 The book starts with the discovery of two badly decomposed bodies in a shed on an allotment. The bodies have been ravaged by insects. Who are these people? What has happened to them? And how did they get there? These are the suspense premises of the story that keep the reader hooked. Set in the early 1970s, the book is split into two halves with the first half devoted to the history of the relationship between Jonathan Maguire and his brother Roger. Roger is a high functioning autistic who appears to have little understanding of the world around him. His obsession is the insect farm, which he has built since childhood in a shed on the allotment. While Roger can barely get himself dressed in the morning, he can relate facts about the insects in his world with incredible recall and minute detail. Jonathan is the younger sibling, who after the mysterious death of their parents is forced to leave university to look after Roger. Jonathan’s own obsession is his girlfriend Harriet. Harriet is beautiful and admired by men but by one in particular. When Jonathan leaves university he is forced into a long-distance relationship with Harriet and this fuels his obsessive lack of trust in her and results in murder. The themes of the book are complex and interesting. They revolve around the ideas of trust, jealousy and the lengths we will go to for our obsessions. The story explores the affects of disability on family life and the idea of how much someone with autism can actually comprehend and the decisions they are capable of. This is a book you will probably either love or hate and the reviews on Amazon, which are split to the extremes, rather prove that. The story is narrated retrospectively by Jonathan. His detachment and meticulous attention to detail seem to imply that he might have Asperger Syndrone, also in the autistic spectrum. The resulting style of narration has the effect of making it feel more like a literary novel and this may be one of the reasons why reader’s responses are so mixed.